12×9 Walnut slab with hand cut lines for letter board letters. Each piece of wood is hand selected paying attention to the unique character of the wood. A oil finish is applied to bring out its natural beauty. A Classic piece to add to any home decor. 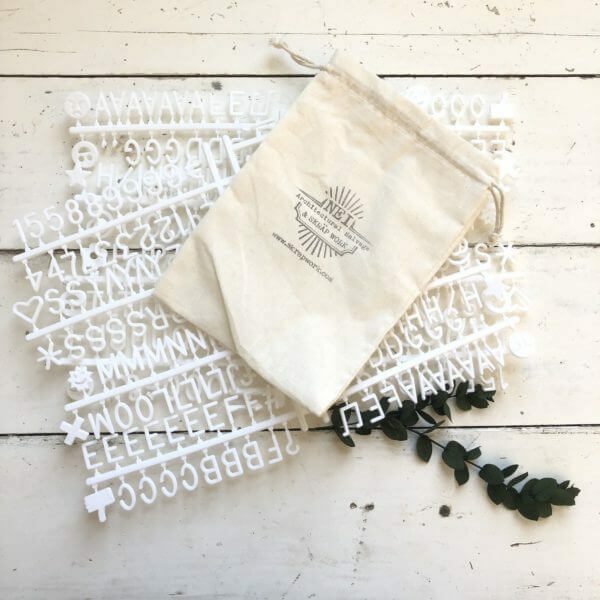 Included is a set of 340 plastic letters and characters and a linen bag to hold them in. The letters are 3/4″ high and do have a snug fit in the wooden letter board. ++ A helpful tip with disassembling the letters. Use a sharp scissors to cut away from the brackets holding the letters and then trim with a nail clipper any access plastic.